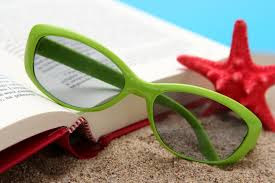 Reading, Writing and Chocolate: My three favorite things ...: What should I read this summer? Has this ever happened to you? You read and read, and suddenly you become a picky reader. I feel like I'm there. I mean, I want something to read, just can't find anything that sounds appetizing. My must-read for this summer was Dan Brown's Inferno. I've read it twice now. I admit it was great the first time, good the second. I also had some professional reading that I had to take care. Thankfully, that is now out of the way. So, what's next? I'm looking for suggestions, so if you've read something, or know of something coming out soon, please let me know. One of the reasons I knew I'd love this book is because I can relate to wondering about passengers in planes. There were times when I would lay on my back and watch the planes overhead wondering where they were going. I'd think about the passengers and make up little stories about where they were going. Astrid takes this a step further when she starts asking the passengers questions. Sending them her love and good will, many times the passengers seem to benefit from this unknown gesture. For Astrid, the need to send her love is strong as she is hiding a secret. She is gay. Unable to seek the advice of a Type-A mother or a pot-smoking father, Astrid turns to her own methods to give her love to strangers who can accept it but not control it. This is a great book. While this book is centered around a gay character, the book is more about accepting who you are and realizing how to help others love you unconditionally. Astrid is a well rounded character with a depth of emotions and thoughts, I really felt like she was a person and not a black and write description on my E-reader. I related with how Astrid wanted to share her good thoughts and love with strangers because of the fear of the unknown. This is what makes this book outstanding. Hopefully I can let you guys know soon about my most recent writing project. Barbi (one of my besties and my cowriter) and I are focusing on getting representation right now. 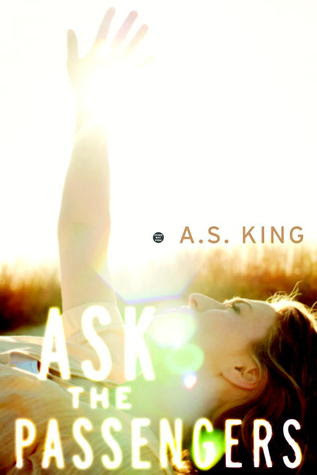 I keep forgetting that I want to read Ask the Passengers! Hopefully I can get to it this summer. I've read 1 other book by AS King (Everybody Sees the Ants) and loved it.